“Produce with a purpose” is how Lutz bills it. 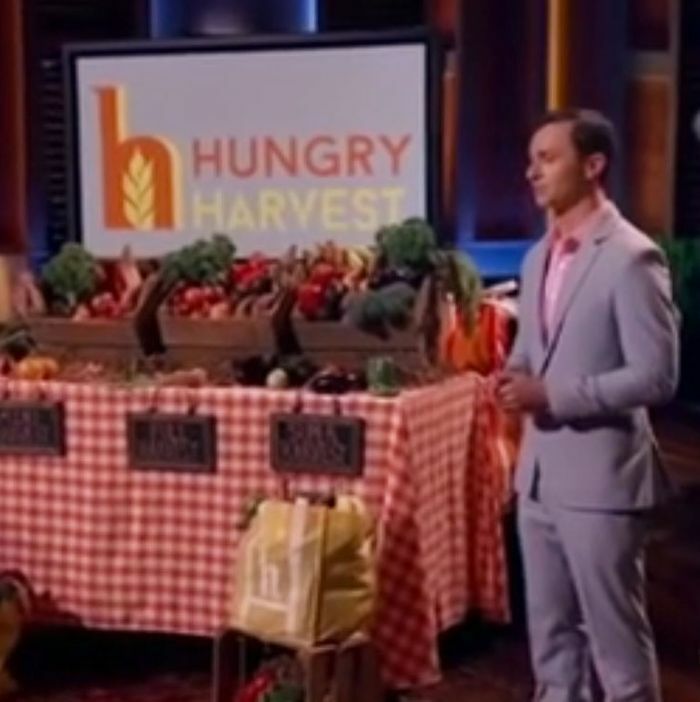 Here’s maybe all the proof you need that ugly and unusable food is about to have its big moment: One of the fat-cat investors on Shark Tank just put $100,000 into a delivery start-up specializing in deformed produce. Since 2014, Evan Lutz’s Hungry Harvest has rescued about 300,000 pounds of vegetables and fruits that would’ve gone to waste because of either cosmetic imperfections or logistical inefficiencies. The company boxes everything up and delivers packs to customers at a steep 20 to 30 percent discount, and during the show’s latest episode, which aired Friday, shark Robert Herjavec was so sold on Lutz’s idea, he handed over $100,000,000 in exchange for a 10 percent stake in Hungry Harvest — double what Lutz had requested. Food waste accounts for a fifth of the trash in U.S. landfills, and the USDA says it amounts to 133 billion pounds of produce wasted per year, all of it releasing methane, a bad greenhouse gas. Programs like Hungry Harvest will help the government reach its goal of cutting that amount in half by 2030. Right now, Hungry Harvest is only available in Baltimore, but there are already plans to add Philadelphia, Pittsburgh, and other cities in the coming months.